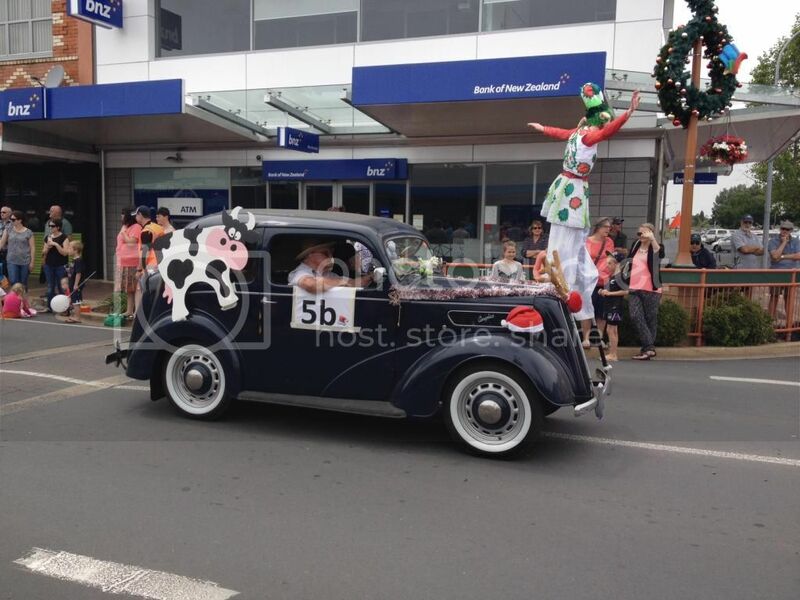 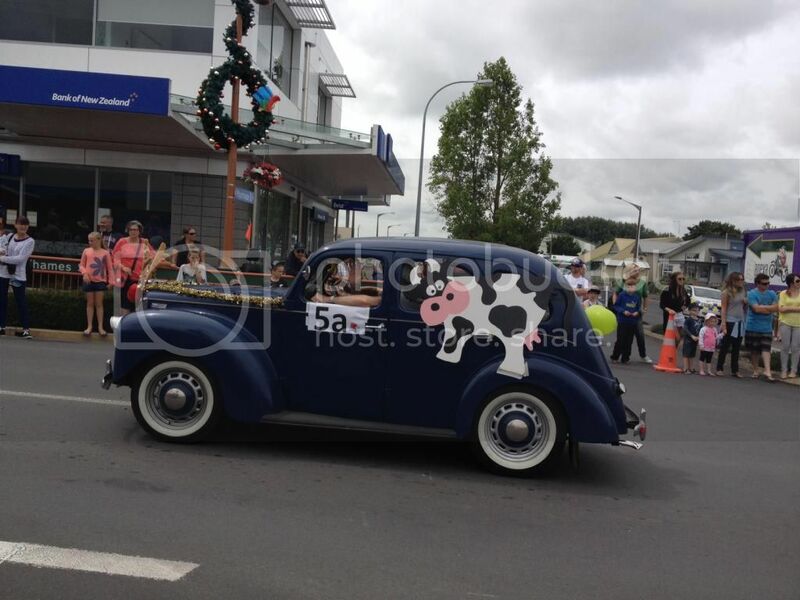 Andrew had two of his cars taking part in the Morrinsville Santa Parade earlier this month. 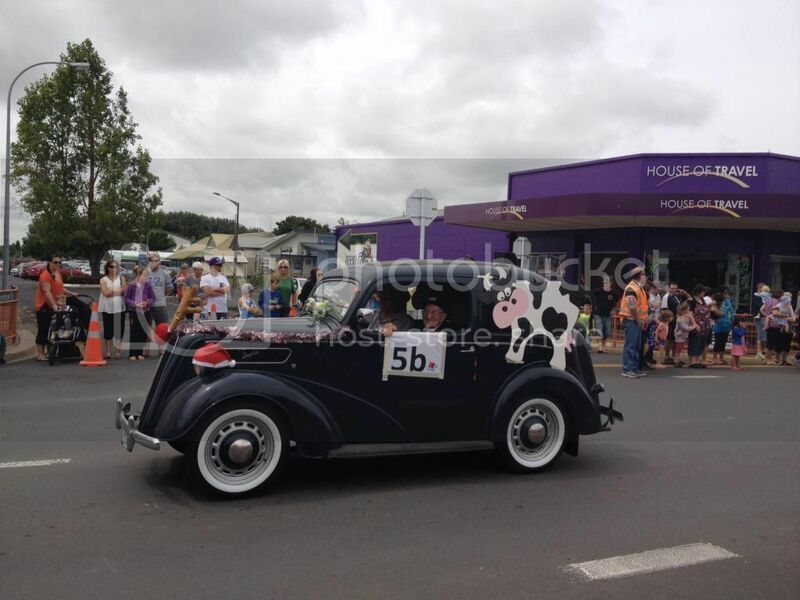 The theme of the parade was "Cream of the Country", hence the cows on the side. 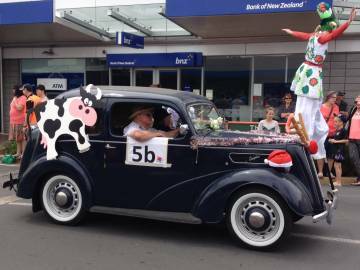 Andrew chauffeured a local 99 year old as a passenger in the Anglia, and Neil (who drove the Prefect) tells us that there were many of the usual "I used to have one of those" comments as they drove past.